In the meantime it was reported by numerous, more or less serious, media outlets (Metro, People, The Sun, Daily Mail, The Guardian) that a couple called their baby Hashtag. They were also introduced on Instagram, Facebook, Google + and many more social platforms. 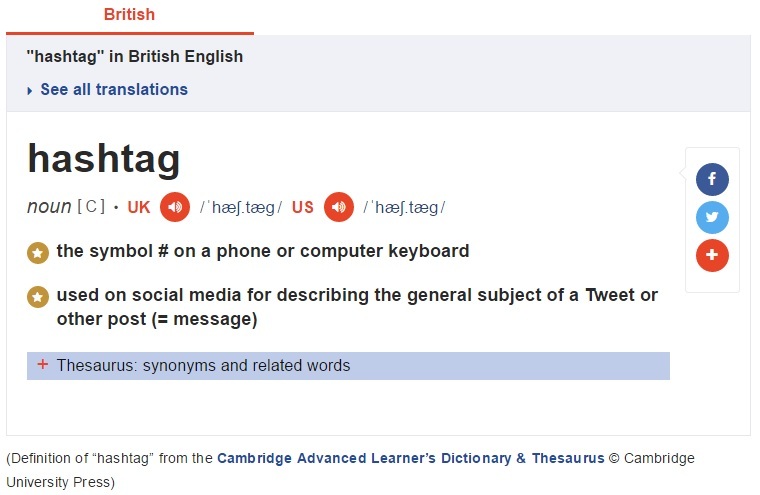 The addition of hashtag to Oxford English Dictionary was immediately followed by other major dictionaries such as Merriam Webster Dictionary (MWD), the Official Scrabble Players Dictionary (OSPD), Cambridge Dictionary (CD) or dictionary.com (DC). 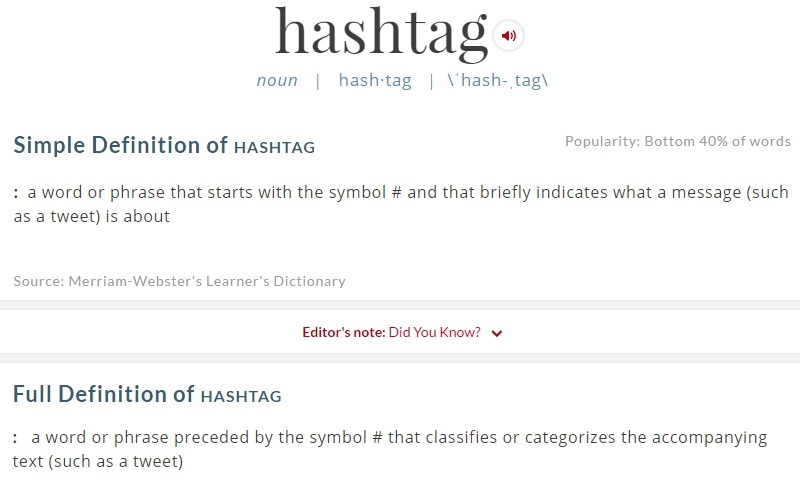 Merriam Webster Dictionary provided two definitions of hashtag. In a simple one it was defined as ‘a word or phrase that starts with the symbol # and that briefly indicates what a message (such as a tweet) is about’. 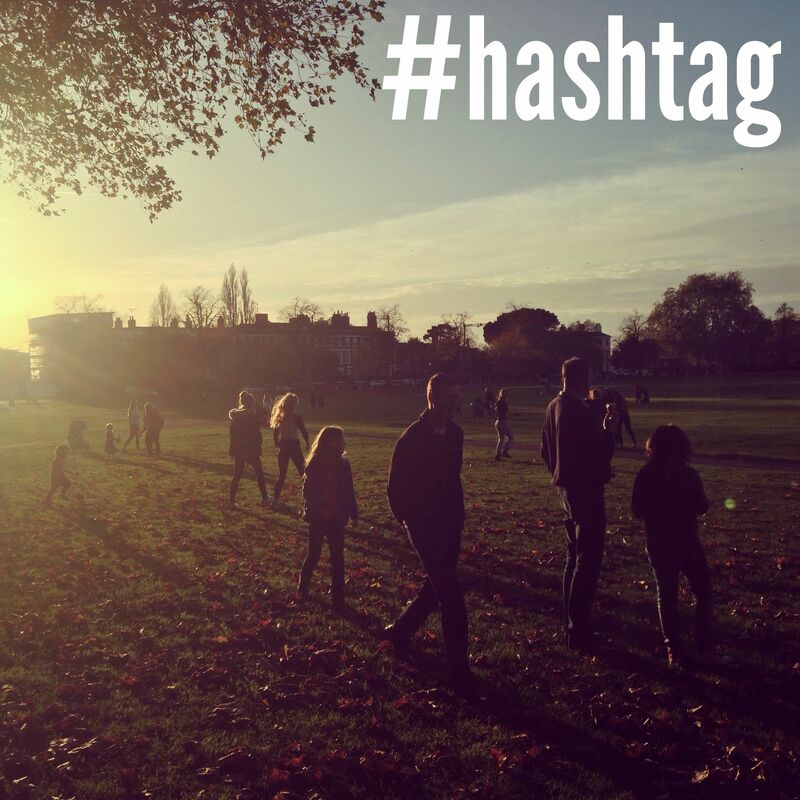 In a full definition hashtag is ‘a word or phrase preceded by the symbol # that classifies or categorizes the accompanying text (such as a tweet)’. 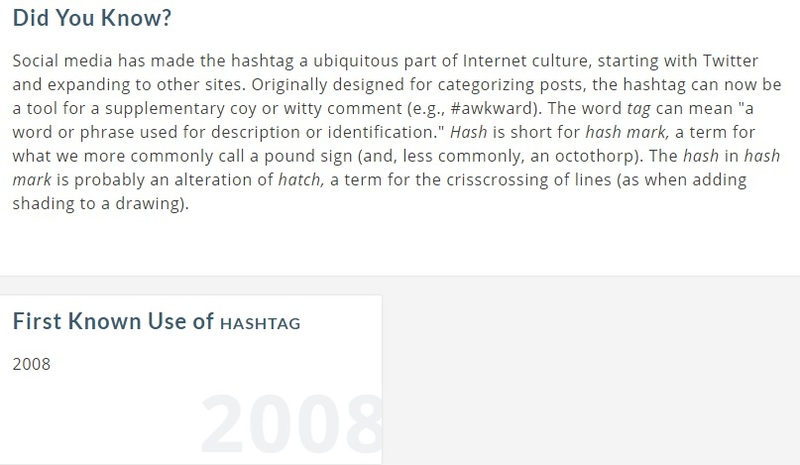 The first known use of Hashtag was reported as year 2008. Someone on Twitter just hashtagged the film festival. 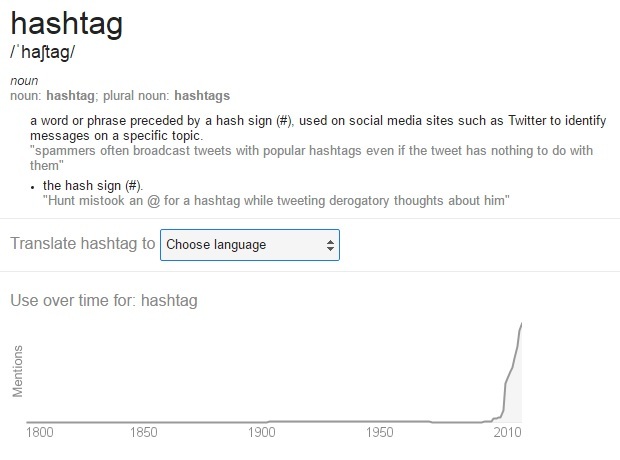 Google defines hashtag as a ‘word or phrase preceded by a hash sign (#), used on social media sites such as Twitter to identify messages on a specific topic.’ It also shows the history the use of hashtag word. 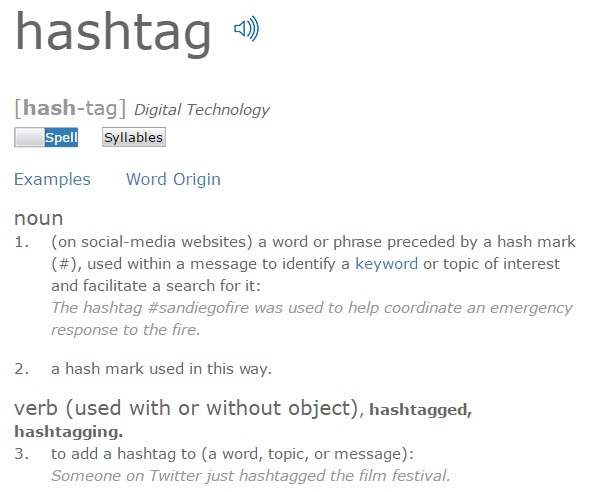 Bing Search Engine defines hashtags using two definitions. The first one comes from Oxford Dictionaries, the second comes from Wikipedia. Interestingly Bing.com lists Chris Messina as the inventor of the term hashtag.